Should the Mets send Tim Tebow to Las Vegas for this final stretch, it could set all-time lows for $1 beer sales on Thursdays, but would be worth the financial hit on those frothy beverages. Twenty-one home games remain for the 51s, 21 more times local fans can make their way to Cashman Field and watch the Triple-A team, a stretch that will include popular traditions such as $1 menus on Mondays and fireworks on Fridays and giveaways on Saturdays. I hope like heck the Mets promote Tim Tebow to Las Vegas for this final stretch, which could set all-time lows for $1 beer sales on Thursdays but still would be worth the financial hit on those frothy beverages. Not to worry. The 51s would make up the difference elsewhere in ridiculous fashion. Tebow doesn’t just move the needle. He advances it faster than Kyle Busch at Bristol. I caught Don Logan via phone this week as the 51s president sipped coffee sitting on a deck overlooking Lake Tahoe because, well, someone has to sacrifice and struggle through such misery. He has forever believed in baseball’s player development system, in guys not being elevated a level until they have proven worthy and prepared, rarely interjecting himself into discussions with the parent franchise about specific names and where he thinks they belong. He should interject now more than ever, more than he already has. 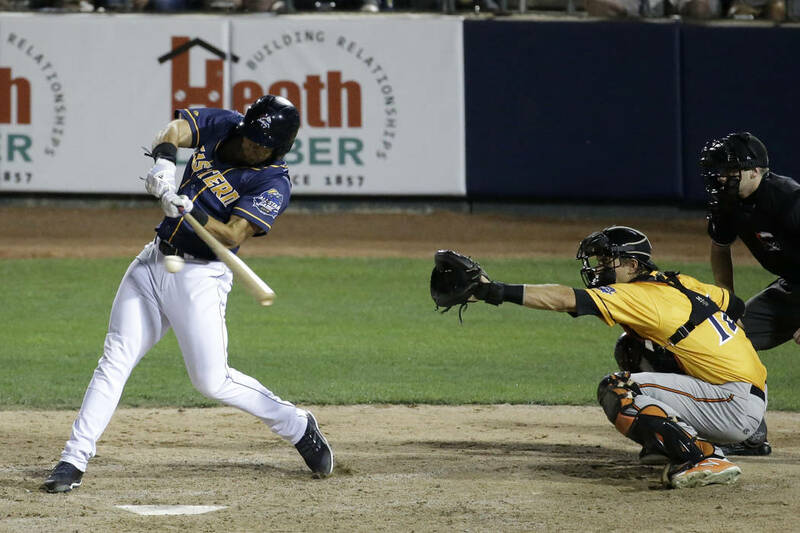 Word is, the Mets like Tebow right where he is for now, a Double-A All-Star outfielder for Binghamton, where he’s hitting .273 with six home runs and 36 RBIs, still striking out far too much, second most in the Eastern League with 103 in 84 games. But things will change at season’s end, when New York concludes its partnership with Las Vegas and the franchise’s top minor league affiliate prepares to make its home in Syracuse beginning next season. It means the vaunted Tebow Effect could be gone before the 51s — and their box office — experience its impact. Some fans love Tebow. Some loathe him. It rarely stops both sides from coming to watch. “I talked to (the Mets) about a month ago and, some tongue-and-cheek, some not, said we sure could use him at the end of July, when it’s 110 degrees every day,” Logan said. “I’ve talked to some roving scouts about (Tebow), and he has made dramatic improvements this year. From a hitter’s perspective, he would obviously face a more consistent level of pitching in Triple A. You have to see it to believe, the sort of response Tebow generates, the amount of folks who might not otherwise think of attending a sporting event who find themselves purchasing tickets and food and gear. He always has been an immensely scrutinized and globally polarizing figure, either beloved by fans who embrace his openness of faith or lambasted by critics who mock him for it. He’s 30, and many make a fair point that if this was instead a guy named Jim Rebow hoping to make the switch from football to baseball, he wouldn’t have been handed such an opportunity. It’s probably true Tebow never deserved this shot beyond his ability to sell tickets, but he got it with the Mets and even his detractors can’t deny how so many respond to him. He’s the one who visits hospitals at all stops, constantly spending time with and bringing smiles to the faces of sick children, no media, no interviews, no publicity, gone before anyone knows he was there. It’s the same at prisons, sitting alongside death-row inmates with which he prays. It hasn’t been the best of seasons for the 51s, whose forgettable start has eventually led to some better baseball lately, but they’re still a last-place team in the Pacific Coast League. A few weeks of Tebow could do wonders for their bottom line. “I remember (former Dodgers pitcher) Orel Hershiser made a rehab start here the year after they won the World Series, and he had broken the consecutive scoreless innings streak (of Don Drysdale),” Logan said. “A few days before, we got the word out best we could back then — there was no digital media to help — but it didn’t matter. It was just another game. People weren’t star struck. Word is, he’s probably not coming. In fact, Tebow left his team’s game Thursday with discomfort in his right hand and is scheduled for an MRI on Friday. I hope like heck it’s not serious and he comes to Las Vegas for a spell.